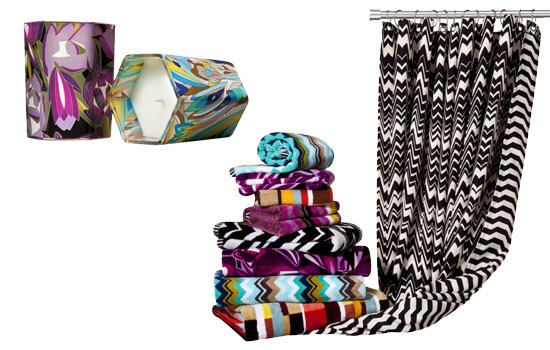 DALLAS, Aug 15, 2011/ — Target is partnering with Missoni, the legendary Italian fashion house, to introduce a limited-edition collection of home goods including bedding, dinnerware, stationery and décor. The Missoni for Target collection transforms an assortment of fashion and home pieces with colorful patterns and chic Italian style, all at affordable prices. Missoni brings its iconic Italian lifestyle to Target’s guests with the exclusive Missoni for Target collection, at prices ranging from $2.99 to $599.99, with most items less than $40. The collection will be available from Sept. 13 through Oct. 22, 2011, at all Target stores and Target.com.